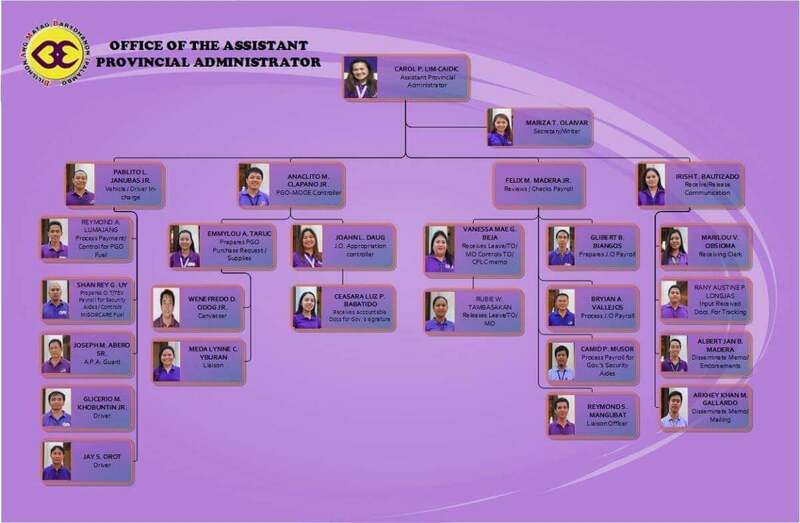 The Office of the Assistant Provincial Administrator is the vanguard and sentinel of the Provincial Government of Misamis Oriental. It is the backbone of the Provincial Governor’s Office and the Office of the Provincial Administrator. 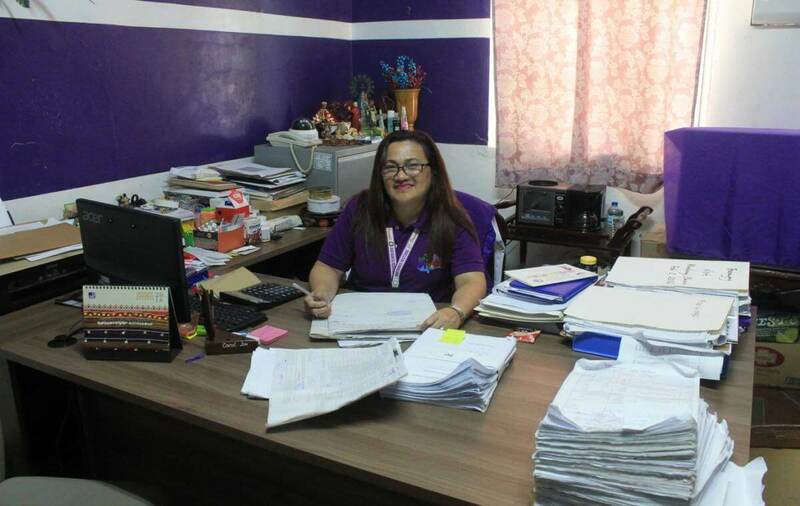 The entirety of operation in the Provincial Capitol relies heavily in the Office of the Assistant Provincial Administrator. 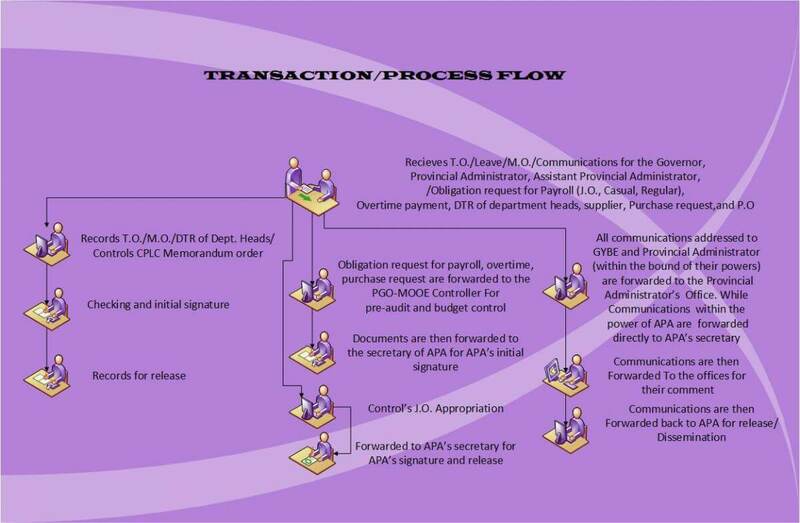 All Correspondences/Documents/Communications intended for the Governor and the Provincial Administrator as well as accounts of the Provincial Government are received through this Office. This office caters to the pressing concerns of the people from all walks of life in the Province of Misamis Oriental as well as in all corners of the Philippines and even in the City of Cagayan de Oro, the Provincial Governor’s Center and the same time the Regional Center of Northern Mindanao.